My wife and I should have chosen our careers somewhere within criminal justice. We are both very interested in the forensics, psychology of the criminal mind and legal action, just to name a few aspects. We are very adamant and supportive of our judicial system, even though we both agree its representatives can be very corrupt. We support the rightful penalties of criminal actions, as well as the legal actions one is entitled to. I don’t know what my wife thinks about the death penalty, but I have my view. I personally believe it is not right to take a human life, no matter what the circumstances may be. I believe it is solely determined by our Creator when and how our life here will end, and I also believe that He placed His commands upon us for good reason! But this writing is not for a debate. It is my personal observation of the consequences of poor choices, and how those choices lead to death. What did Paul say? “The wages of sin is death.” At its core, sin is rebellion against God. It is evident that he was not speaking of sin bringing instant physical death here. It seems as if he was speaking of the slow perish one experiences as he or she is rebellious against our Holy God. That’s in my words, in a nutshell. I wholeheartedly see this as being so incredibly true as I myself have a pretty hefty track record of sinning in some pretty preposterous ways. It definitely led to a spiritual, mental and physical death, in SO many ways. There is no doubt in my mind just how dead one can become when the choices one makes are contrary to the nature of Christ. But the ‘nature of Christ’ is something that many reject, and the nature of the devil is one that is embraced. I’ve watched plenty of crime documentaries. It is intriguing to see just how far people will go with the sinful nature within, whether or not he or she is aware of it or believes it exists. Is it a chemical imbalance in some cases that drives the individual? Yes. Is it a traumatic series of events which drives an individual to act in heinous ways? Yes. Is it the work of the devil in these individuals that pushes them to reject the voice of the Lord as they slowly kill themselves and those around them? Yes, I believe it is. I myself have experienced and executed so much of this ‘death’ that Paul spoke of, and I have seen the evil within the world and people in so many ways, and I am convinced that the fallen nature of man is to blame. There is nothing I have read that explains with more clarity than The Bible, just how and why our world, mind, and lack of compassion, empathy, self-control and love is the way that it is within this world. The problem is, not everyone believes it. Not everyone reads it. Not everyone understands why their world falls to pieces no matter what they try to do outside of Christ and His truths. People believe the world and the things thereof, and through the falseness, they fall short of the true purpose of life, the real meaning of or reality and the way of our Creator. They continue to drown in the ways of deceit, living out and falling prey to the work of the great deceiver (the devil), dying continuously. Our fallen flesh is full of decay. Our minds do not work correctly. Our choices are poor. Our crime is outrageous. The sin of the world is taking over. The killers, the drug dealers and users, the sexual predators and perverts are raging. The sin is evident. You can see it in the world, but really, do you see it within yourself? Is it important within your own life to observe the slow death that is taking place right there, within yourself? I pray this morning that each one of us observe the death taking place within ourselves. We can point at the world and see just how evil everyone else is, or we can look at our own reflection and change what is observed. We can look deep within ourselves and repent of our sin, and be a little closer to the Lord. We can have life over the death that we cause ourselves. 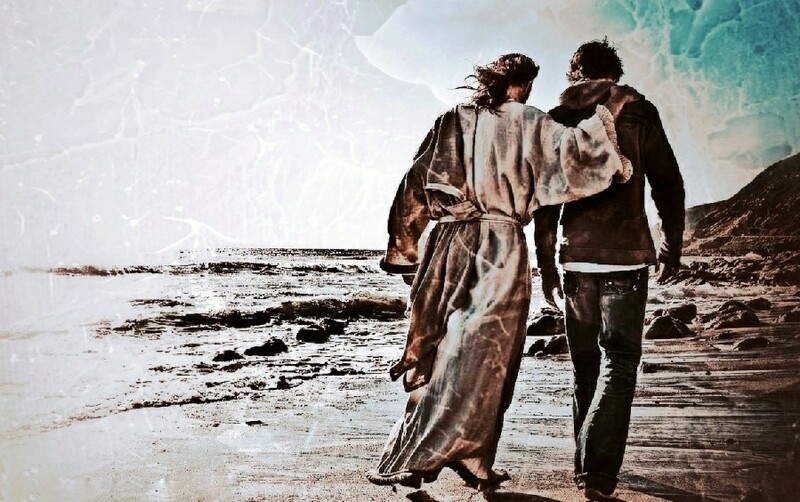 If we realize, believe, learn about and have faith in the loving Creator of our existence, and proclaim Jesus Christ as the only way to know that way to life, then we can stop this slow death that we are experiencing within our lives. Theodore (Ted) Bundy was a serial killer. In his last days before execution, it is said that he prayed to God for forgiveness. Whether or not he was forgiven for his unbelievable acts of sin and death is not for me to say. But I will say, our just God is also a forgiving God. I will also pray this morning that we all stop to remember the free gift of Jesus Christ and His ways that lead to life. I pray that we stop to recognize the killer in all of us, before we end up at the end of life begging for forgiveness like Mr. Bundy. Unlike Ted, we probably won’t know when our time will end. So, isn’t now a good time to choose life over death? I assume you believe in presdestination then? And if you find it is abhorrent to take a life, why do you accept that it is fine for your god to do exactly that? All you seem to have is a morality based on might equals right. Thanks for your comment. I believe what Jesus proclaimed. Your choice is solely yours. I do not write and await the arguments like yours. Take what you will from the words. This is not a ground for debate. I pray that you see our Creator through the messages here. Thanks for reading. So, you don’t want to answer my question. Okay. It is no surprise that you won’t. Morality is a hard thing, especially when your god is not even as good as humans are. You do though, claim you will pray for me. Now, when it comes to pass that your god doesn’t do what you claim it will do, what will your excuse be then? That this god loves me as I am? That this god doesn’t think much of a Christian who can’t answer a question about morality? Or that this god doesn’t exist at all? Yes, I gave prayed for you. I don’t have to answer or argue with you. I won’t waste my time with someone who is determined to win an argument. If you find God hard to grasp or understand, I would suggest reading the Bible and finding a few good teachers to help you through its lessons of truth. You may argue with yourself, and the voice of the Lord that you obviously choose to reject. I’m finished with this conversation. Take care sir, or ma’am. Well said, brother. When I find myself fed up with the way the world is or the things other people do, I have to remind myself that I am not that different and I have done plenty of messed up stuff, too. It is in gazing inward and repenting of our own sins that true peace is found, with God and within ourselves. Everybody who doesn’t know Christ abides in death even as they go about their “lives” here on earth. How sweet it is that we can know what life truly is and have the guarantee of eternity with our Lord simply by faith, through His grace. I am not “determined” to win an argument. I have presented how I see things. Do you have a rebuttal? And I have read the bible completely through. Once as a Christian and once as an atheist, plus in pieces other times. I’ve read many apologists, all of whom contradict each other. Since your formula for agreeing with you didn’t work in my case, do you care to explain why? It is nice to know, I agree. Hope all is well with you Kevin. I’m good, man. Thanks! Hope you are well also. I appreciate your support and your blog posts as well. I love seeing believers using their gifts and glorifying our Lord! Thanks. Yes I’m doing alright. I appreciate your posts and support as well. May we always glorify His life in us! I presented my view as well. If you reject the Gospel, then that is the choice you’ve made. Perhaps that may change in time. Maybe you will see His truth in time. I will continue to pray for you. Blessings. I just so happened to come across this website and I am very excited to see that you men appear to consistently remain in contact and share the Good News and the self confronting that I see taking place. Most people don’t believe that we are that bad but the scriptures say nothing outside of us defiles us. I hope to keep in touch with you brothers and that God will show us and purge out our sins. Welcome to our realities. I’m glad you were able to find us. Blessings to you!